WOODY. THAT WOULDN’T WORK. WOULD IT? According to our tests, yes it would. 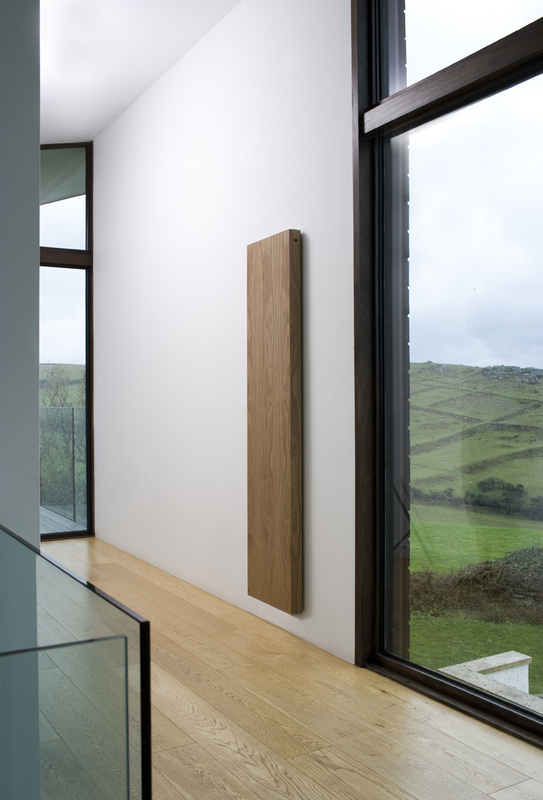 We are proud to announce that our new ‘Woody’ radiator is now available and in three stunning veneers. The technical bit – Tests on Eskimo’s thermal cycling rig included cooling down to ambient temperature and heating up to 80 degrees Celsius whilst being automatically sprayed at 5 minute intervals with water. It remained completely unaffected by high temperature fluctuations and damp and humid environments. There was no damage to the surface finish found, the Woody remained as beautiful as before its test. 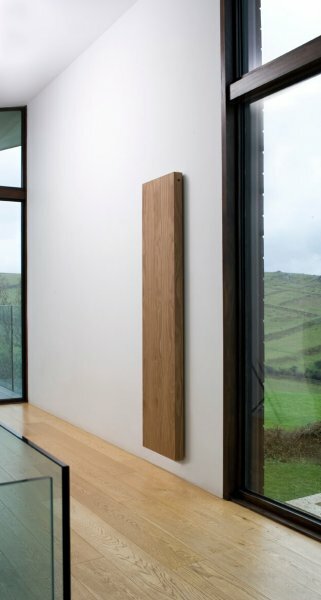 In short Woody is the perfect bathroom radiator as well as other areas of your scheme. 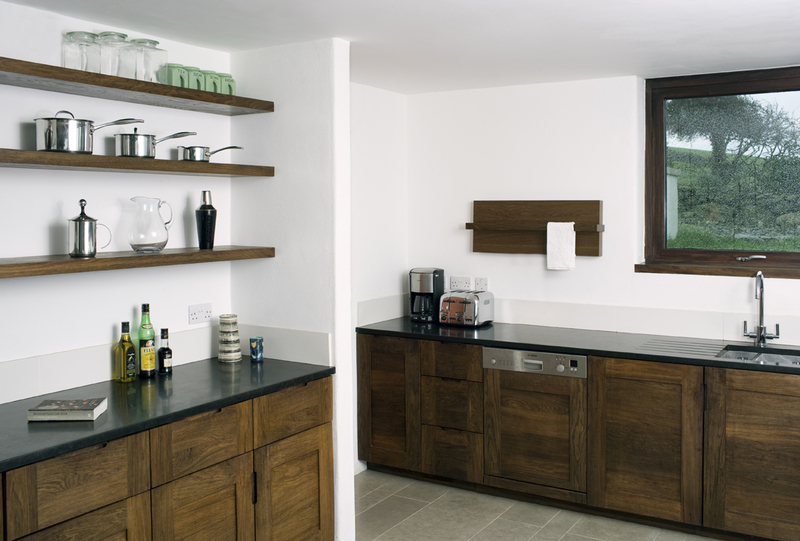 The beautiful bit – Three finishes are available, with and without towel rails; English Oak, Walnut and Fumed Oak. 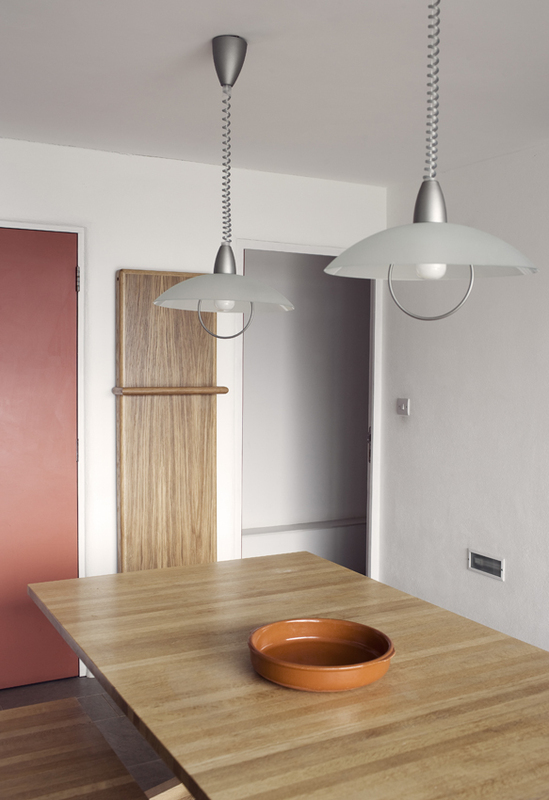 With Hinge & Bracket now available, there is simply nothing more beautiful. 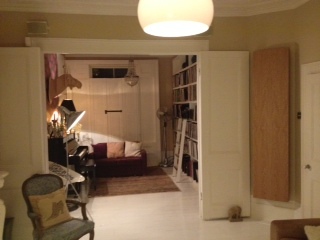 For hidden heating it’s better than underfloor too because it has proper temperature control. Woody is available in two standard depths, shallow and deep, 61mm and 106mm respectively – with the deep version giving double the heat output. The aesthetic qualities of wood and it’s tactile nature are something everyone can relate to, and when you ask people to describe wood, the majority will use the adjective “warm”. You’d expect it therefore to be used more frequently for heating appliances, particularly for the parts that people actually touch. 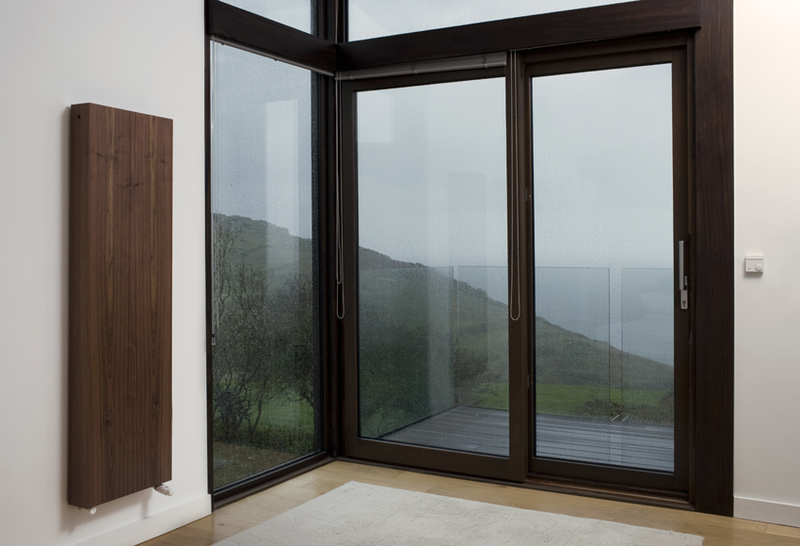 If you choose an electric Outline radiator, whether it be in a RAL, brushed stainless, Supermirror, Brassy, Cliff, Woody, Rusty or Gong, each radiator will require one wireless receiver. This can be concealed within the wiring box on the wall. Available from Eskimo. 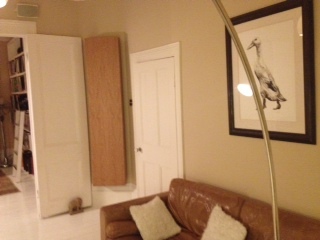 In addition you’ll then need to control your electric radiator via an analogue or digital room thermostat. Up to 17 radiators can be controlled with either. Available from Eskimo.